Zipcar, the car sharing service that recently was acquired by Avis, announced on Thursday that it was bringing its vehicles to eight more airports in North America. As a result, travelers can rent a vehicle at their leisure from one of 11 airports around the world making it easy to get around. The new airports are spread across the continent with seven in the US and one in Canada. The participating locations are Hartsfield-Jackson Atlanta International Airport (ATL), Austin-Bergstrom International Airport (AUS), Los Angeles International Airport (LAX), Palm Beach International Airport (PBI), Philadelphia International Airport (PHL), Phoenix Sky Harbor International Airport (PHX), Mineta San Jose International Airport (SJC), and Toronto Pearson International Airport (YYZ). These eight join three other airports in North America, added just last month — Newark Liberty (EWR), LaGuardia Airport (LGA), and John F. Kennedy International Airport (JFK). Besides Canada, Zipcar is operating from London’s City Airport (LCY), making it the only European airport presence. It’s probably not that surprising that Avis has made airports a target of Zipcars. After all, the service is quite suited for business travelers and those who are making quick stops in town. When priced, a cost of a Zipcar is perhaps cheaper than renting an Avis vehicle. 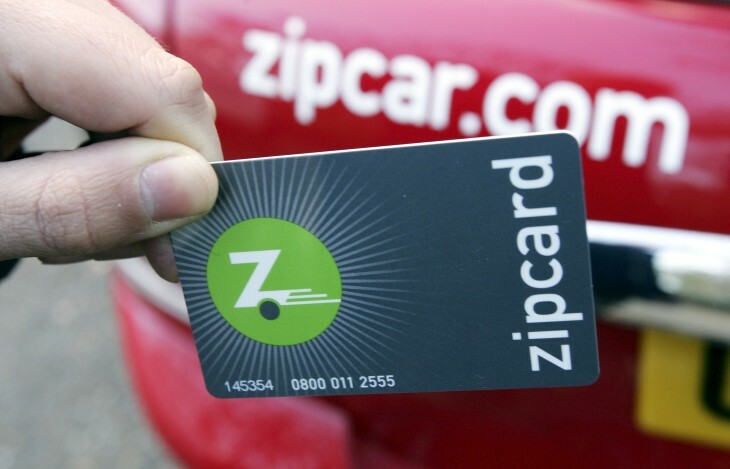 Acquired for $500 million in January 2013, Zipcar has more than 767,000 members and 11,000 vehicles operating throughout the US, Canada, the UK, Austria, and Spain. While traditionally available in neighborhoods, the added resources of Avis help it to make it possible for more cars to be available in more locations.